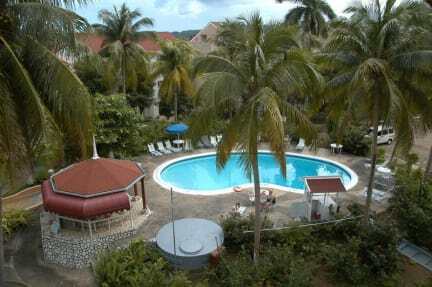 Fisherman's Point, Ocho Rios, Jamajka : Rezerwuj teraz! The Fisherman's Point is a condominium-style resort. All rental units come with kitchenettes and there is a restaurant and bar on site. 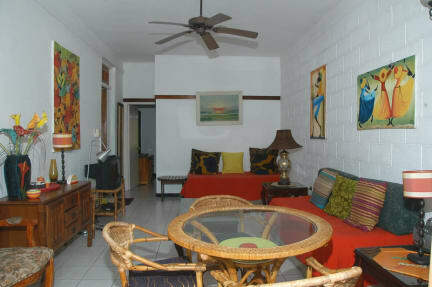 The property is Ideal for families, couples, singles and groups. Fisherman's Point is located close to the Cruise ship docks in Ocho Rios and across the street from Island Village, home to Margaritaville Ocho Rios. Stroll the pristine sands of beautiful Turtle Beach adjacent this low-rise cluster of condos nestled into three acres of lush tropical foliage. Available are one and two bedroom condos, complete with kitchenette, cable TV, and private balcony with mountain or ocean view. Ideal for couples, families, and groups, this condo resort offers a free form swimming pool and a wading pool for kids, a restaurant and bar. Cancellation free of charge three (3) days prior to arrival. Method of payment accepted on arrival: Visa, Mastercard, American Express, Cash.